In the pantheon of bands who have chiseled their name in BooM BooM RooM show greats, this one is at the top of the list. 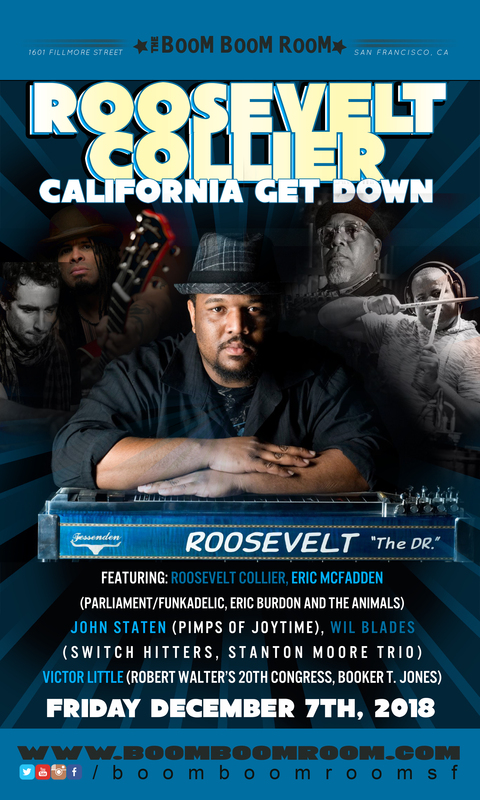 Sacred pedal steel guitarist/vocalist Roosevelt Collier is one of the most highly respected musicians on the scene today. 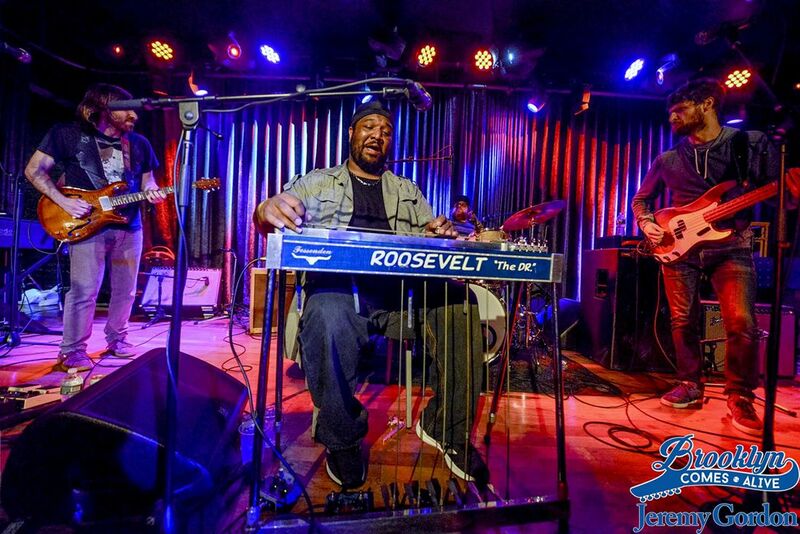 He has shared the stage with a who's who of greats including The Meters, Allman Brothers Band, Tedeschi Trucks Band,Government Mule, Widespread Panic, Karl Denson, String Cheese Incident, Umphrey's McGee and many more. Forming a super group in the most accurate sense of the term, he will be accompanied by ferocious guitarist/vocalist - EricMcFadden (Parliament/Funkadelic, Eric Burdon and the Animals, Stockholm Syndrome), funky master drummer, John Staten (Pimps of Joytime) and Hammond B3 organ bad-azz, Wil Blades (Switch Hitters, Stanton Moore Trio). Except a relentless onslaught of spine-tingling jam-rock, blues, soul and funk. The sky is truly the limit with this mind-melting, soul-combusting lineup.